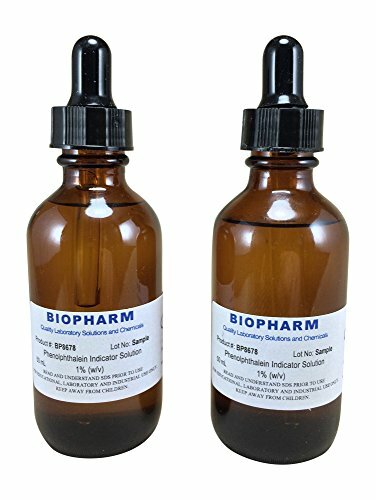 Details: This Phenolphthalein Indicator solution is manufactured in our USA laboratory by experienced chemists using strict quality control procedures. It is commonly used with acid and base titrations as well a “neutralization” indicator for determining when excess base such as sodium hydroxide or potassium hydroxide is present. Our formulation does NOT contain alcohol but uses safer propylene glycol thus avoiding the flammability hazard.